Engaging the globe-trotting millennial generation should be a major focus for every travel marketer. Not only are millennials the largest generation to date, but they are entering their prime spending years. According to Airbnb’s Millennial Report, travel is one of their primary spending goals, a higher priority than life events such as purchasing a home, starting a family or paying off debt. The key to effectively reaching the millennial consumer is your content marketing strategy. The travel industry is in a unique position to meet the needs and desires of the millennial generation. Seeking authentic and transformative travel experiences, millennials are already primed to buy what you are selling but only if you can communicate products in a personal and engaging way. Here are six content marketing strategies to help you tap into the travel-loving millennials. The millennial population is diverse and expansive with a global population at roughly 2 billion people, and ranging in age from 19-35 years old. So, marketing will need to be focused on a particular niche of this massive group in order to show an authentic message. A first step is to identify the type of millennial traveler that your company or destination serves. From there, you can identify your brand’s specific millennial traveler persona. For help in doing this, here is a resource for developing traveler personas to help you get started in the process. The millennial consumer expects your content to feel like it was created specifically for them. Fail to do this and you will quickly lose their interest and trust. In order to create tailored content try to employ listening tools, such as: formal market research, social media listening, and direct questions to your audience. You will create loyal and engaged millennials by allowing your audience to have a voice in the direction of your content. Millennials represent the largest and most engaged audience on most social media platforms today, most notably Facebook, Instagram, and Snapchat. In fact, millennials say that social media is a significant influencing factor in their travel decisions. The best social media content incorporates trusted influencers, useful and relevant information, striking visuals and thought-provoking storytelling. As you will likely be linking back to your website via the content you share on social media, it’s also worth making sure that all of your content is mobile-friendly. So, create content that loads quickly, adapts to various screen sizes and is easy to read. An added bonus: Sharing your website content on social media helps boost the SEO of that content. More on that in our article, "A Quick Guide to SEO for the Travel Industry." According to FutureCast, 80% of millennials want brands to entertain them. Traditional advertising will not work on millennials due to its inauthenticity. Instead, content must provide value in a way that makes millennials feel like they are learning and not just being sold to. Companies like Airbnb and Generator Hostels are great examples of travel brands that are featuring and promoting valuable and inspirational content around the travel lifestyle and values that speak to their unique millennial base. By positioning your travel product as a complement to authentic and useful content, you will better connect and gain the business of the millennial customer. Video content, as a marketing tool, can be an effective way to reach the millennial consumer. When done right, video is authentic and engaging, it features well on social media channels and tech devices, and it’s inherently share-worthy. According to a recent study by Animoto, 80% of millennials find video helpful during the initial research phase of their purchasing decision while 74% of millennials find video helpful when comparison shopping. Video content alone can be both a means and end to breaking through the content noise and reaching millennials throughout the customer journey. "Love and Ceviche" is an example of authentic storytelling used to highlight the food and culture of Peru. We partnered with Tasty Lima Tours to tell the story of Tia Julia's famous ceviche, which has become a multi-generational family business and staple for authentic local cuisine (watch below). Content marketing done right matters now more than ever to the millennial generation. 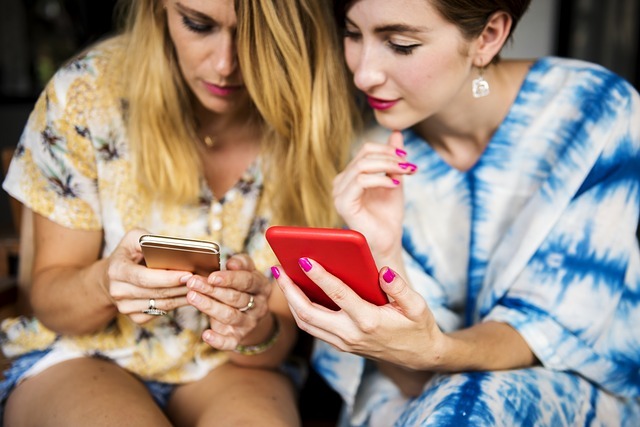 Not only is the generation hyper-connected across multiple channels and devices but their purchase decisions are driven by authentic and personalized content. Focus on creating content that directly speaks to your millennial consumer and your brand will go far in earning their trust, and ultimately earning their loyal business.